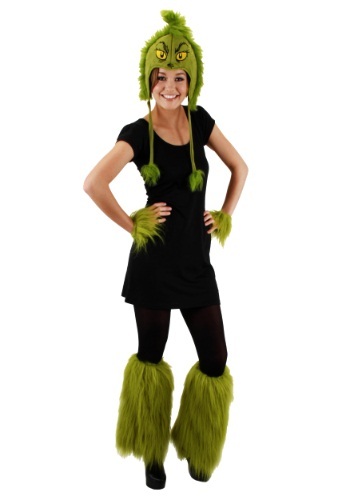 Grinch Fuzzy Wrist Cuffs By: Elope for the 2015 Costume season. If you've ever looked at your hands and wished that they could look a little bit more like The Grinch's hands, then you've come to the right place. The only problem with wearing them, is that you start to have this strange urge to dress up like Santa Claus and steal presents from all the Whos in Whoville.